The problem is the sisters won`t get along. that the book is like how my life is. and that i love the the book so much. 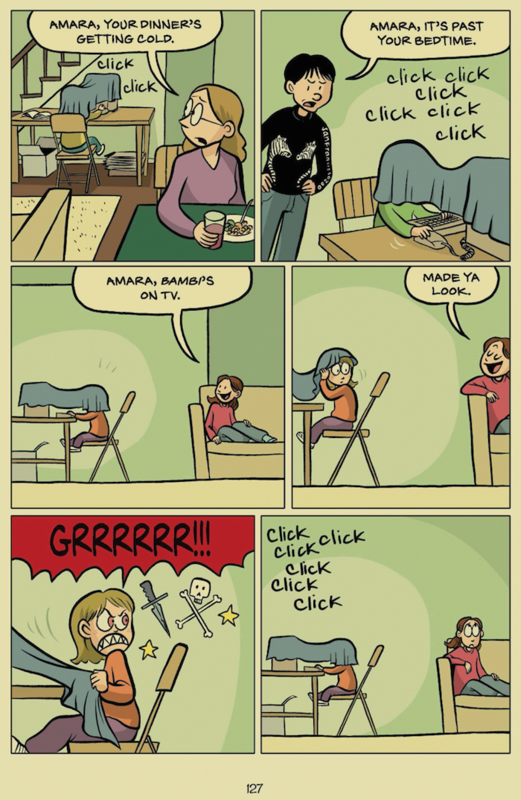 i think that this book is really funny , and i have a connection to it, because i have a annoying sister too, and we fight a lot, like the tow, now three sisters. Sisters is so amazing and funny. It’s when two sisters and their mom go on a trip for a family reunion and they fight the whole ride to Colorado. Read to find out what else happens. This book is a great Graphic novel the sequel to smile it is a very good book I loved it! What kind of story is Sisters? We love Pusheen! This image doctored by Kidsmomo. 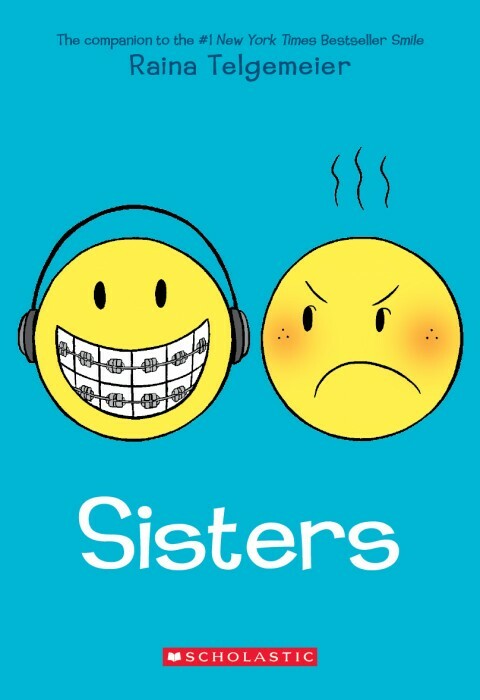 Sisters is a graphic novel (kind of like a comic book) written and illustrated by Raina Telgemeier, who also wrote and illustrated Smile and Drama. Both Smile and Sisters are autobiographical — meaning, the story is about Raina’s own life. Sisters is a really funny and sweet account of Raina taking a road trip from California to Colorado with her mom, her younger sister Amara, and their baby brother. But it’s not all fun and games in the car. You might have guessed that from the hilarious cover illustration! In the book, there are also flashbacks to when Raina was still an only child (and really wanted a little sister) and to when Amara was a toddler. Not convinced? Check out reviews for Sisters submitted by other readers just like you — the book has an almost perfect 5-star record!